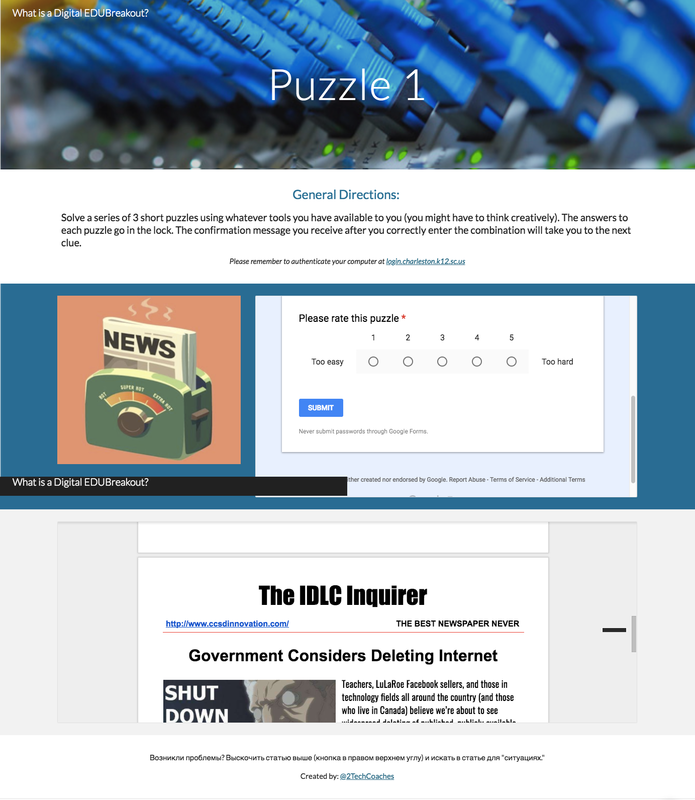 lThis Digital Breakout is designed to teach how digital breakouts work and how to build one yourself. We've had almost 1000 teachers and students successfully breakout of this lab and many have created their own digital breakouts using the skills they've learned here. We noticed that there were a ton of resources focused on WW2 - the Holocaust, the causes of the war, etc... but there weren't many resources geared to America's involvement in the war. We wanted to create an engaging way to address that problem (victory gardens, rations & bonds, and how the war affected men, women, and children in the US) so we created this digital breakout. If you're just learning Spanish (Spanish 1 or Spanish 2) give this breakout a try! The focus in on Spanish Numbers and includes great information about Spanish cultures around the world! So far, over 1,600 middle and high school students have broken out! This digital breakout is unique in the fact that it was created for a specific audience. Kendra and I created curriculum for a cohort of over 200 teachers who were searching for innovative ways to teach rigorous standards, collaboration, communication, and critical & creative thinking skills. This is a great breakout for people seeking to just get a feel for how engaging digital breakouts can be.